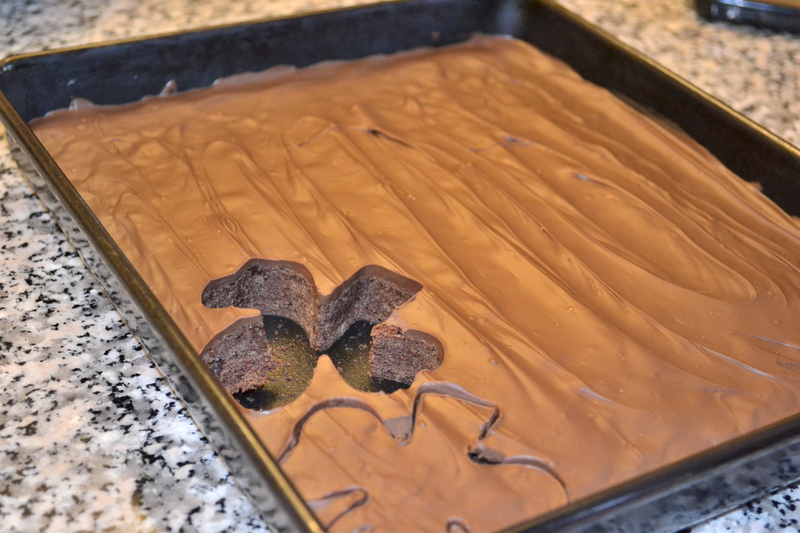 Oh brownies, brownies, how I love you so. 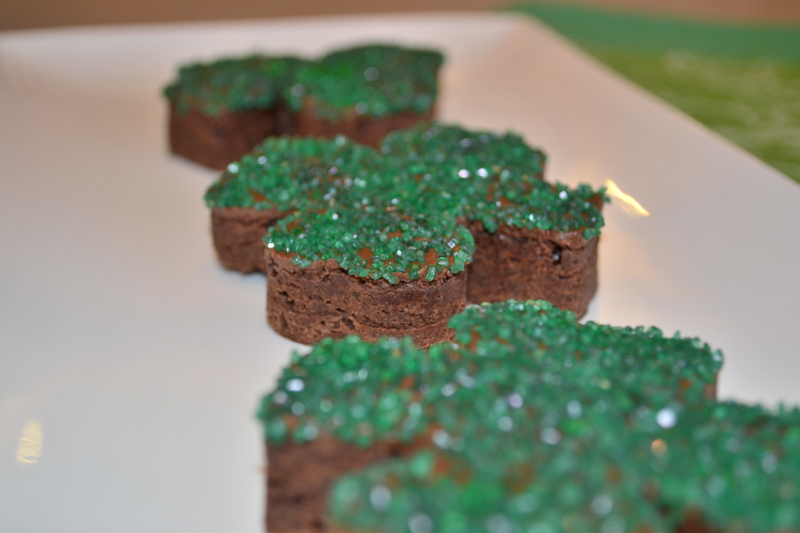 I made these brownies special for St. Patrick’s Day – can you tell? 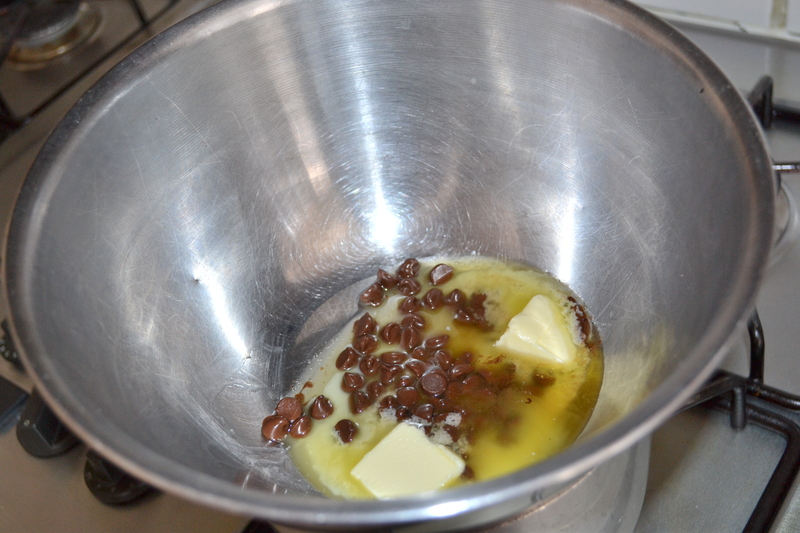 I started by melting some semi-sweet chocolate chips and butter in a double boiler. Once the chocolate and butter melted, I added sugar and cocoa powder. Next, I whisked in three eggs and some vanilla. Finally, I folded in flour and salt and poured the batter into a pan greased with lots of butter. I used a larger pan so I would have more surface area for the cookie cutter. I baked the brownies for about 20 minutes. After baking, I let the brownies cool for a short while. Spread around that Nutella nice and evenly. 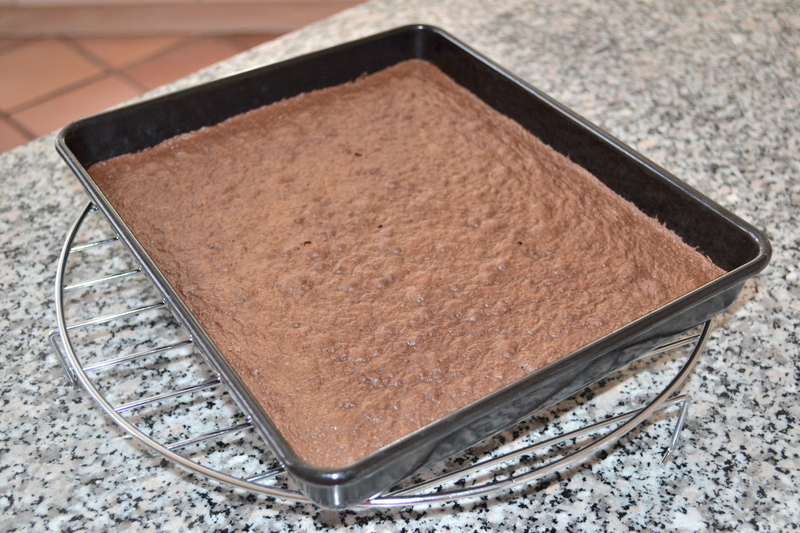 And let the brownies cool down in the fridge or freezer for just a short while before cutting into them! I found this three leaf clover cutter at Bulk Barn. It was a bit larger then I wanted but still worked well. Having a little bit of trouble but no worries! So many extra bits, what to do, what to do. I’m thinking maybe Cake Balls, Attempt #2 with brownie balls! 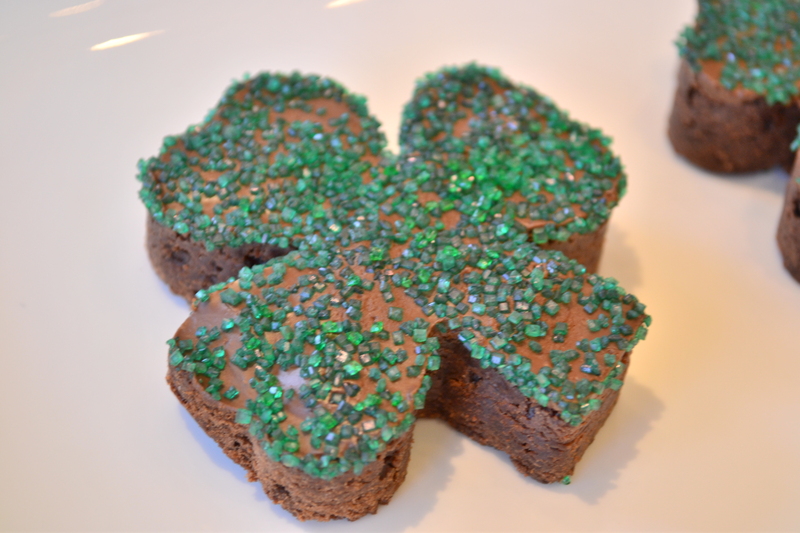 I dipped the clovers in green sprinkles and voila! 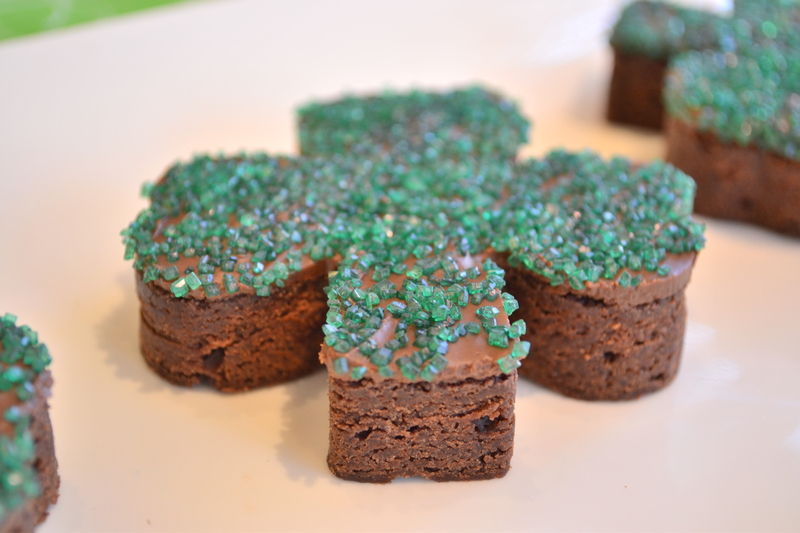 These will be a huge hit tomorrow…. 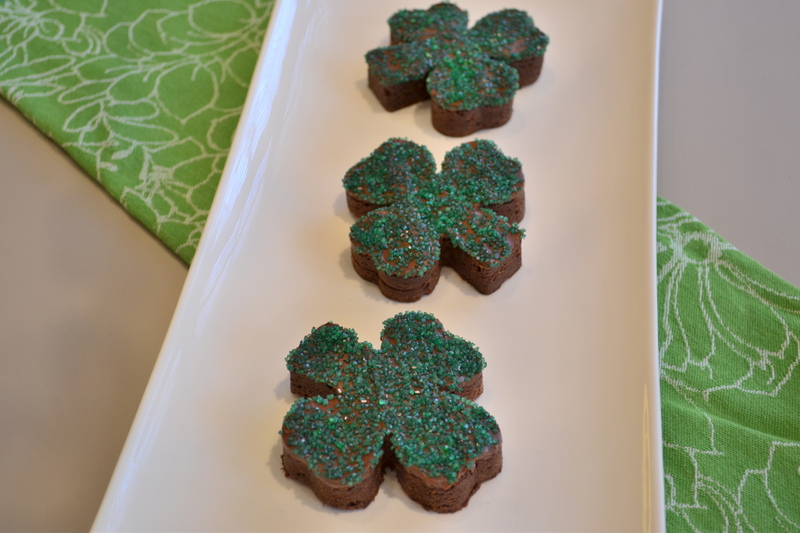 Three Leaf Clover Cookie Cutter! Preheat oven to 350 Fand place the rack in the center of the oven. Butter a 9 x 13 inch pan. 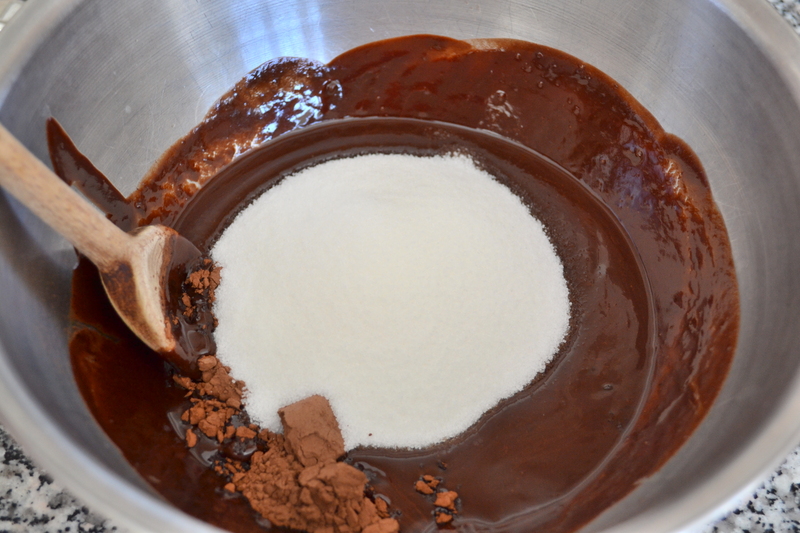 Melt chocolate and butter in a large stainless steel bowl placed over a saucepan of simmering water. 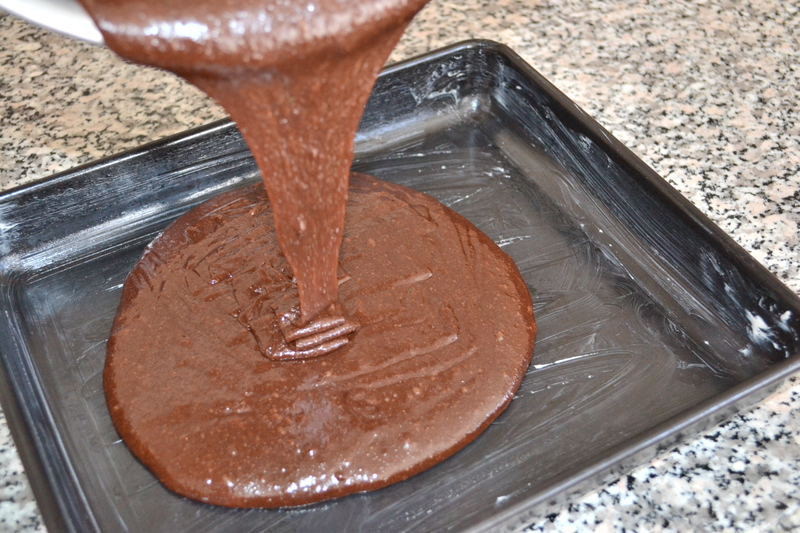 Remove from heat and stir in the cocoa powder and sugar . 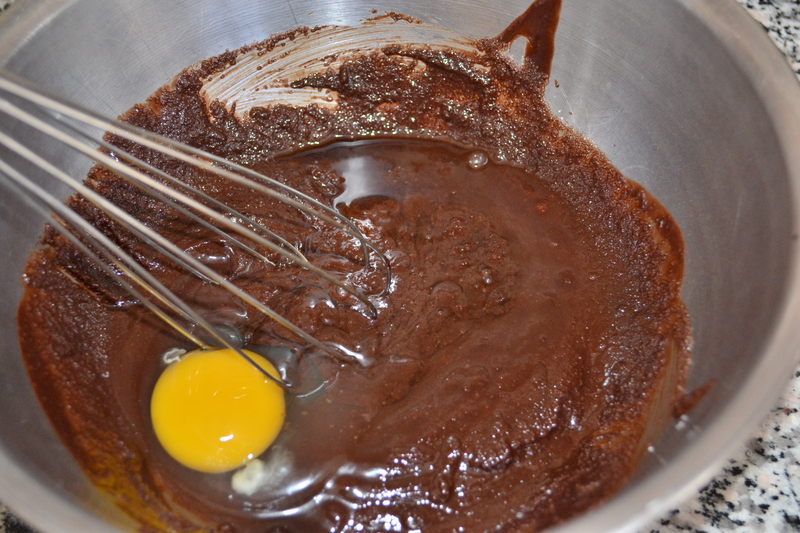 Next, whisk in the vanilla and eggs, one at a time, beating well after each addition. Finally, fold in the flour and salt. Pour into prepared pan and bake for about 20 minutes, or until a toothpick inserted in the center comes out with a little batter and a few moist clumps clinging to it. Do not over bake. Remove from oven and let cool on a wire rack. 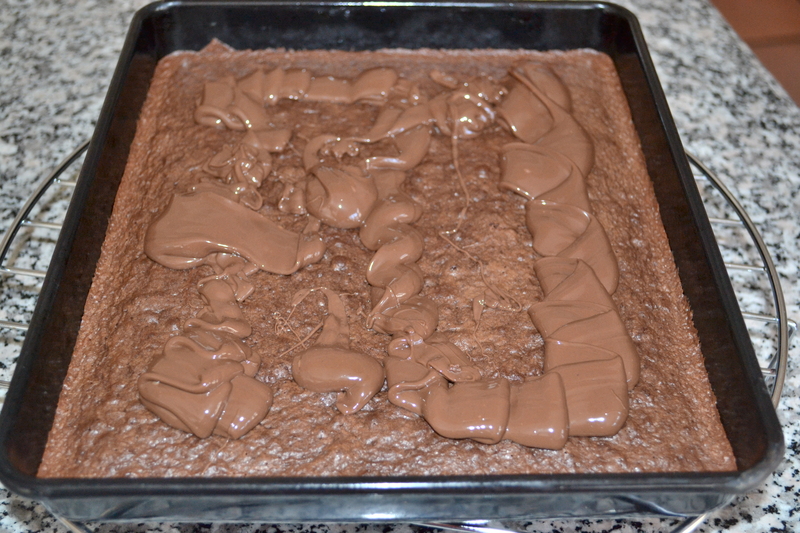 Heat Nutella in microwave about 20 seconds and pour over brownies while brownies are still slightly warm. 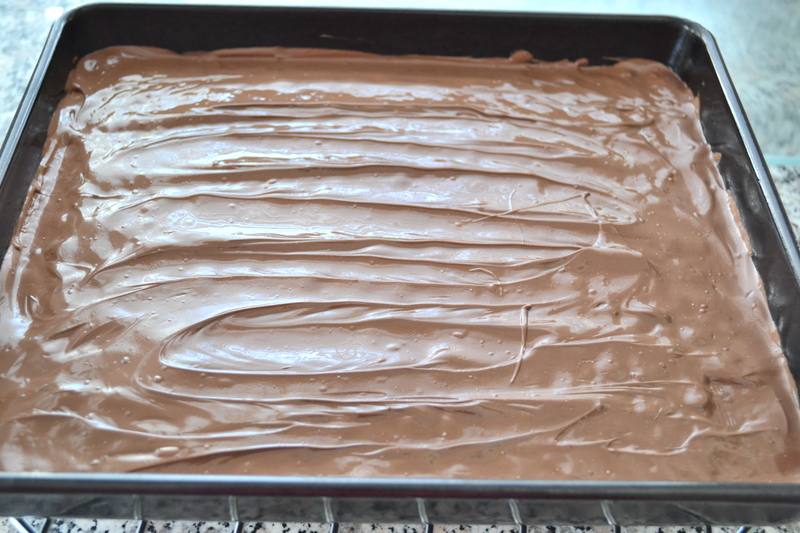 Spread evenly with spatula and cool in fridge or freezer before cutting. Serve at room temperature or chilled. These freeze very well. 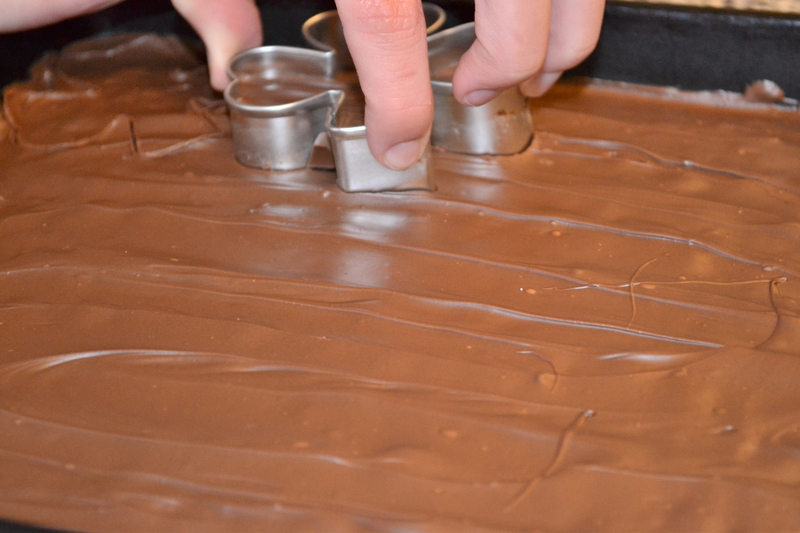 Makes about 9 brownies, depending on the size of your cookie cutter (mine was quite large). 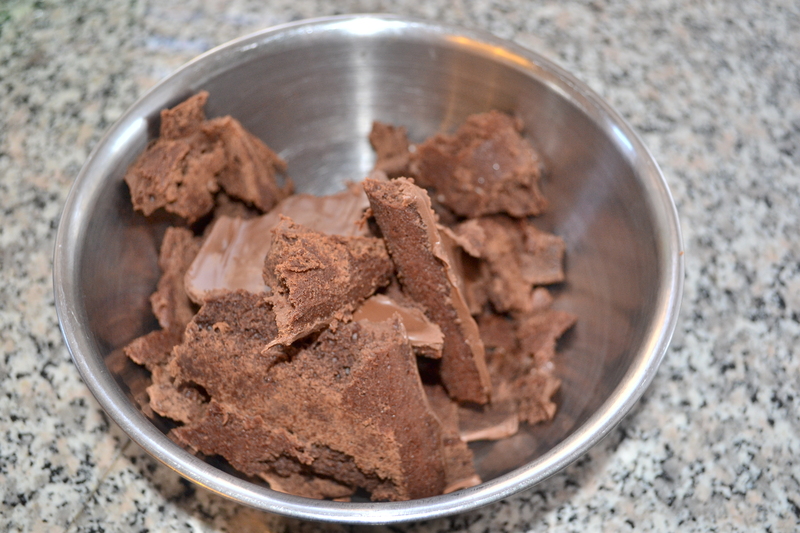 I am testing out a recipe for the extra brownie bits so please don’t discard! mmmm!!! 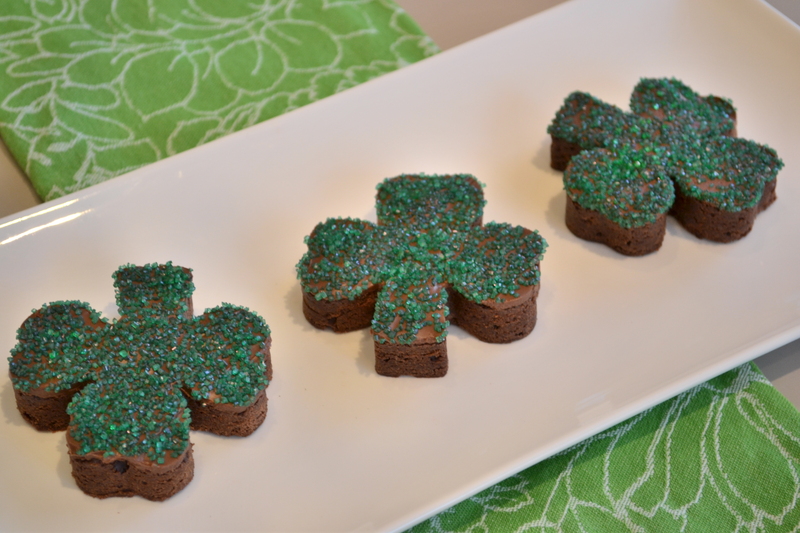 these look so delic!